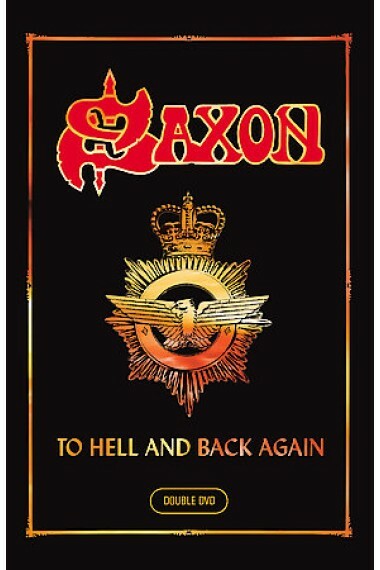 Eagerly awaited by their fans – not only since their most recent awesome show at this year’s Wacken Open Air, British metal gladiators SAXON are scheduled to release their new double DVD, To Hell And Back Again, on 19 November 2007 (Germany: 16 November 2007, North America: 20 November 2007). To Hell And Back Again comes in a top-quality DigiPak featuring over five hours of playing time and is a perfect example of an excellent price/performance ratio. The double DVD will be released in a 16:9 image format and 2.0 Dolby Digital & 5.1 Audio sound formats. DVD 1 consists of 15 chapters with lots of interesting glimpses of the band’s life between two albums, starting with the Lionheart studio recordings and continuing with heaps of clips from the subsequent tour (the tour start in Kiel, sequences from the Graspop and WOA 2004 festivals, shows in London, Glasgow, Paris, and Pratteln, among others, plus the grand finale in Prague), and scenes from the video shoots for ‘Witchfinder General’ and ‘Beyond The Grave’. Most of the 15 chapters include at least one live track, the end of DVD 1 featuring full versions of each number. Makes over two hours playing time all in all. DVD 2 includes the official ‘Beyond The Grave’, ‘Witchfinder General’, ‘If I Was You’ and ‘Let Me Feel Your Power’ video clips, plus the brand-new, previously unreleased ‘I’ve Got To Rock (To Stay Alive)’ with guest appearances by Lemmy Kilmister (MOTÖRHEAD), Angry Anderson (ROSE TATTOO) and Andi Deris (HELLOWEEN). The song will be available as an Internet single download from 19 October 2007! DVD 2 is rounded off with live cuts from the Swiss Rocksound festival, the Rock For Asia event, and a live duet by Biff Byford and DORO PESCH (performing the JUDAS PRIEST classic, ‘You’ve Got Another Thing Comin’). 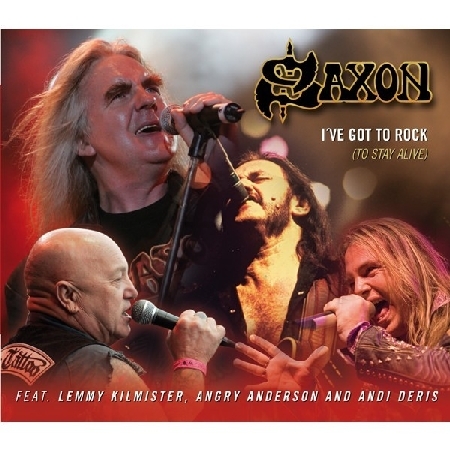 Another three hours of Saxon pulling out all the stops! 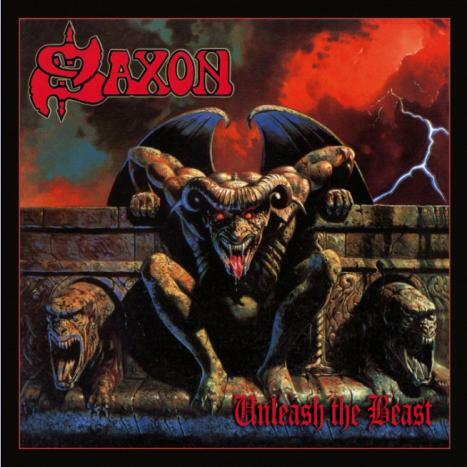 A re-release of the album success, Unleash The Beast, will be out on 19 November 2007 (Germany: 16 November 2007, North America: 20 November 2007). In addition to the eleven original songs on the album, there will be two live bonus tracks (‘Crusader’ & ‘Solid Ball Of Rock’), recorded in Germany during the 1995 Dogs of War world tour. The re-release is completed by fascinating liner notes courtesy of vocalist Biff Byford and a new booklet with previously unreleased photos. It’s been quiet since the previous hunt was so big. All the pre-ordered CDs have come in and I’ve been going through the latest releases I’ve picked up. I had no time to run to the record store but I did the next best thing: I sent my wife! I gave her a very detailed list, including where in the store they would be. I wrote the CDs down, drew a makeshift map of the store (she’s been there hundreds of times), and sent her off…..
Iced Earth – Framing Armageddon Pt.1 (2007) – $12.88: I have been in the Iced Earth camp since 1996’s THE DARK SAGA. I have been loyal and I have been waiting for a decent album of original material. In my opinion, the band hasn’t released a decent album since SOMETHING WICKED THIS WAY COMES (1998). I thought HORROR SHOW (2001) was a step down and THE GLORIOUS BURDEN (2004) was awful even though Tim “Ripper” Owens was at the mic. I’m hoping the band can return to a concept almost a decade old and re-kindle some fire. Icarus Witch – Songs For The Lost (2007) – $12.88: I bought the hype back in ’05 when Icarus Witch released the ROSES ON WHITE LACE E.P., I got into their old school vibe. I reviewed their debut full-length, CAPTURE THE MAGICK (2005), back in Jan ’06 and it was a solid album. If this new record is as good as the rest, Icarus Witch will have a top album of 2007. I’ve had the flu since Sunday. It’s been passed from my wife and kids, to me, and back to my oldest daughter in a matter of a week. I’ve been out of commission since Sunday night but the weekly email from the record store made me feel a little better…..
Halford – Metal God Essentials Vol.1 (2007, Limited Edition) – $35: Rob Halford is one of my favorite Metal vocalists and Judas Priest is my second favorite band. Anything Rob or Priest does is bought right away. 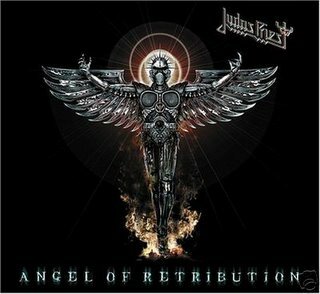 This release was available as a digital download initially via HalfordMusic.com but Frontiers Records picked it up and made a nice package. Two CDs, a bonus DVD, 20 page booklet, autographed insert by Rob, a beautiful digipak, and numbered (only 5000 made worldwide). I had to have it but I was too sick to run out Tuesday morning. I wasn’t sending out my wife again because I was afraid she would bring home the single disc version, so I called the store Wednesday evening and they had one in stock. I did what anyone else would do: I went. I was a mess, imagine this: I’m in my pajamas (AC/DC cotton shorts & a ripped Alice Cooper shirt from the Dragontown Tour), sandals, my UFO hat, sunglasses, and I smell of Halls cough drops and Vicks VapoRub. I hadn’t showered yet so I must have been a really bad sight! I was in the store 10 minutes after I called so I knew it was there. I’m a regular at the record store so they recognized me (sort of) and pointed me toward the Halford display…..only one left! I handed the cashier my credit card, scribbled what looked like my signature, and left for the sanctuary of my car…..I left the CD at the counter! I figured it out before I left the store, retrieved the CD, and drove home. Favorite Pick & Best Value: The Halford set (2 CDs, bonus DVD, and limited edition packaging & inserts) for $35…..it’s selling for $50+ across the Net. QUEENSRŸCHE pay tribute to some of their favorite songs with an adventurous collection of covers that range from BLACK SABBATH and THE O’JAYS to Italian opera and Broadway musical. 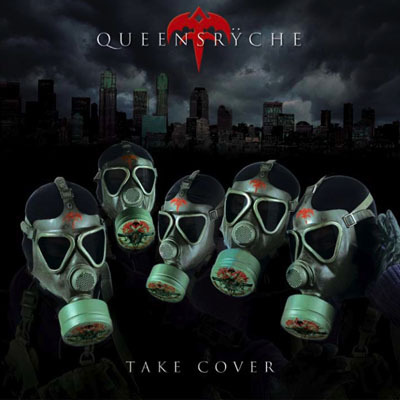 Singer and chief songwriter Geoff Tate, guitarists Michael Wilton and Mike Stone, bassist Eddie Jackson, and drummer Scott Rockenfield put their stamp on 11 classic tracks with TAKE COVER. The album is available November 13 at regular physical retail outlets and at www.rhino.com for a suggested price of $13.98, with a digital version also available for the suggested price of $7.99. The album will also be released on 180-gram vinyl on November 20 for a suggested price of $13.98. The set covers a lot of ground both lyrically and musically, opening with “Innuendo”, QUEEN’s epic song about life and death; “Almost Cut My Hair”, CROSBY, STILLS, NASH & YOUNG’s paean to freedom; and the medieval metal of BLACK SABBATH’s “Neon Knights”. The Scorpions have been going strong since the release of their debut album, LONESOME CROW, in 1972. Over the last 35 years, the band has released 21 albums and has become a worldwide success. Of course the band’s fame has dwindled here in the U.S. since their ’80s heyday but they still play to sell-out crowds all over the world. I’ve been a Scorpions fan since 1982’s BLACKOUT. I was a child of the MTV generation and I got a daily dose of German Metal when videos like ‘No One Like You’, ‘Big City Nights’, and ‘Rock You Like A Hurricane’ were in heavy rotation. Even today, the local Rock radio stations here in New England still play the band’s biggest hits regularly. The band still has a presence. 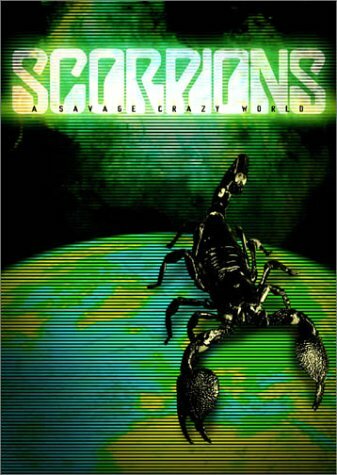 I consider the Scorpions one of those influential bands in the same group as Led Zeppelin, Black Sabbath, and Deep Purple. Actually, I would put them in the second tier with the likes of Aerosmith, KISS, & Queen. The band arrived in the early ’70s and set the example of what would be called Euro-Metal or Teutonic Metal. Take a listen to their early albums and they are a raging slab of hard guitar driven Metal that influenced many a band from Europe. I don’t think the get the true credit they deserve. What made the band more interesting for me was that they were from Germany. Honestly, all I ever knew about Germany was their involvement in the World Wars (I’m a big WW II history buff), but the Scorpions opened my eyes (and ears) to bands like Accept, Destruction, Helloween, Cutty Sark, Warlock and so many more from Germany. The also opened up the rest of Europe because, at such a young age, I was only influenced by bands from the U.S. and the U.K. Of course, now I enjoy all sorts of different bands, from many different countries, in a variety of styles. My favorite albums are from the ’80s era I grew up with: BLACKOUT, LOVE AT FIRST STING, WORLD WIDE LIVE, SAVAGE AMUSEMENT and CRAZY WORLD. The cool thing for me was to go backward and discover the early Uli Jon Roth era Scorpions. Albums like VIRGIN KILLER and IN TRANCE are absolute classics in my collection. The live album, TOKYO TAPES, was my first introduction to this lineup and it still blows me away today. I enjoy the band’s whole catalog, even including 1999’s EYE II EYE, and I think that they have released some seriously strong records from the mid-90s on. FACE THE HEAT (1993) was a strong record in a changing musical climate, PURE INSTINCT (1996) met the same fate but still seems to be seriously overlooked by fans. I really enjoyed UNBREAKABLE (2004) as the band returned to their classic sound but I find the new record, HUMANITY HOUR 1, to be one of the band’s best. Unfortunately, their are rumors from band members that this could possibly be the Scorpions’ last album…..that would be a shame and a complete waste of creativity. One thing the Scorpions have proved with the new album is that they can still put out solid Hard Rock better then the newer flavors of the month can. They write good songs and know how to play their instruments…..a winning combination for success. If HUMANITY HOUR 1 is indeed the band’s last studio effort, then they have gone out on top. 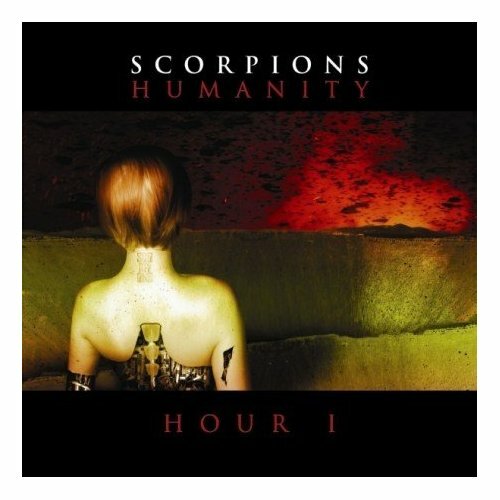 This is the first single and video from the Scorpions lastest album, HUMANITY HOUR 1. You can also watch this video at the Scorpions official website. Since 1972, the Scorpions have been creating their own style of Heavy Metal/Hard Rock with great success. Over the last 35 years, the band has been to the heights of success in any ever-changing musical landscape. There have been changes to the overall Scorpions sound to continue to stay fresh but the band has always retained the basis of their sound: the twin guitar attack (Schenker & Jabs) and the superb vocals of Klaus Meine. 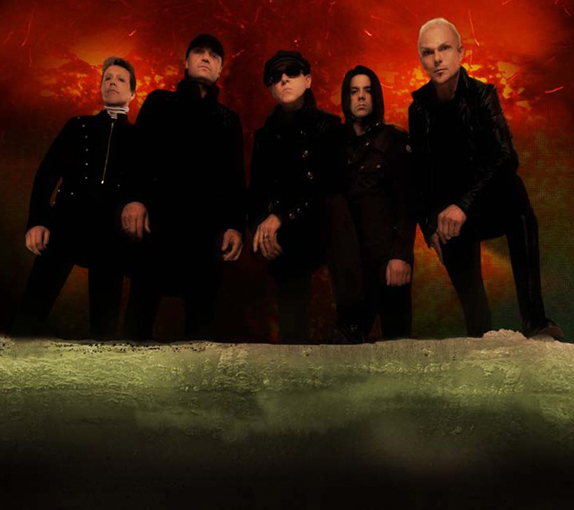 After almost a decade of experimentation with their sound, the Scorpions released UNBREAKABLE in 2004, an album that returned the band to their classic sound. After this solid return to form, the German quintet has released the concept laden HUMANITY HOUR 1 to continue their journey. HUMANITY HOUR 1 is a concept album about the future fall of mankind by our own actions. In an age where the world is more aware of our mortality and the changing environment, this album is amuch a reflection of our current times as it is a prophecy of possible consequences to come. Right from the beginning, ‘Hour 1’ kicks the album into high gear with a pulsating drums from James Kottak and buzzsaw guitars from Rudolf Schenker and Matthias Jabs. It’s a little modern, Scorpions circa 2007, but it sounds like it could fit on SAVAGE AMUSEMENT (1988) or even FACE THE HEAT (1993). ‘Hour 1’ sets the tone for the album and proves that Klaus Meine hasn’t lost a step vocally. ‘The Game Of Life’ is more of the same modern feel combined with classic Scorpions. I like the subdued guitar throughout the song until the chorus kicks in and the guitars come alive. That subdued guitar during the verses lets Meine be the focus and you immeadiately can hear how strong his voice still is after so many years. This is a song tailor made for the live setting. The Scorpions are kings of the mid-tempo song and ‘We Were Born To Fly’ fits nicely within this realm of expertise. An updated sound and soaring guitars really drive this song. I get a sad feeling when I hear this song even though the message is of hope. The music is emotional and shows definite quality. Add piano and orchestration to the guitar base and ‘The Future Never Dies’ becomes a classic Scorpions ballad that could have easily fit on PURE INSTINCT (1996) or UNBREAKABLE (2004). The band experimented with this type of sound on the two live albums: MOMENT OF GLORY (2000) & ACOUSTICA (2001). Their experience with these extra sounds makes this song a standout. ‘You’re Lovin’ Me To Death’ is a harder mid-tempo track that is fully guitar laden and the bass driven. I like the fact that Powel Maciwoda’s bass is a little more prominent in the mix here because it adds structure to the main riff. This is a good song but I feel like I’ve heard it already. Did Zakk Wylde join the Scorpions? I only ask because the main riff and guitar “squeal” in ‘321’ is very Black Label Society/Wylde-era Ozzy. I’m not complaining because ‘321’ is one of my favorites on this record and I could see this song getting major airplay now AND back in the band’s ’80s heyday. A melodic riff rocker that you just know translates well in concert. Ballad #2 comes in with ‘Love Will Keep Us Alive’ and it is another winner. Vocally, Klaus is at his peak, a fine performance. I’m a sucker for acoustic guitar and it is done very well alongside the electric. It’s a beautiful piece that could easily be put up against other Scorpions ballads like ‘Send Me An Angel’ or ‘Always Somewhere’. Another strong song, another favorite. ‘We Will Rise Again’ is another slow, mid-tempo number that is very balladesque until it picks up in the chorus. Very heavy yet melodic…..a theme throughout the album. I like the guitar solo: it’s melodic and driving but it doesn’t overpower the song. ‘Your Last Song’ opens with a nice guitar intro and pushes into another mid-tempo piece with an acoustic base. This song borders on being ballad #3 and reminds me of the songs on Def Leppard’s 2002 album, X. It’s a melodic update on the signature Scorpions sound, how this song isn’t getting airplay is crime, this should easily be a single. Another favorite. The guitar intro to ‘Love Is War’ signals another mid-tempo/ballad. Again, an acoustic base and subdued electric guitar until the chorus picks up a bit. After so many slower songs, many listeners might be sick of the style. However, the Scorpions do this better than anyone and they have another strong track that has power in the chorus but retains the melody. The solo is top notch and you can’t help but pick up the catchy chorus, another potential single. Alternative and almost Nu-Metal stylings are present in ‘The Cross’. The song is faster than the last few and there is a little of that Zakk Wylde type of guitar (I can hear that “squeal” again). I could do without Billy Corgan’s (Smashing Pumpkins) mid-song vocals, I think Klaus could do it better. Corgan is a good fit as a backing vocalist on this song but he is just unnecessary here on lead. This is another strong song but I’m not feeling it as much as I should, most likely because Corgan is associated with it and I can’t stand him, his band, or his style of music. The first single and video off the album is ‘Humanity’ and it is immeadiately a Scorpions classic. It’s mid-tempo and picks up just before the chorus. I really enjoy the guitars and vocals here and I could envision this coming from any album after 1984. I also think the orchestration or keyboards add a lush sound that expands the song, making it sound really good. The guitar solo follows the basic melody and is done beautifully. ‘Cold’ is the bonus track for the official U.S. release (available only at Best Buy) and it is driven by a pulsating bass and drum sound. The guitars cut out for the vocal and slowly come in to layer the song. It’s another modern take on the classic Scorpions song. It doesn’t seem to fit the overall concept and feel of the album overall but it is a solid add-on. Sounds like a song that should have been on the previous album, UNBREAKABLE (2004). This is a great album ny a legendary band, probably the biggest surprise of 2007. HUMANITY HOUR 1 blends current modern trends and the classic Scorpions Hard Rock sound to create an album rich with emotion and melody. There is talk from members of the band that this could possibly be the band’s last studio album and I think that would be a terrible mistake. After experimenting thoughout the late ’90s and early ’00s, the Scorpions have released one of the strongest records of their career, making them as important as ever to the Heavy Metal/Hard Rock scene. Favorites here: the whole album, although ‘You’re Lovin’ Me To Death’, ‘Cold’, and ‘The Cross’ are the ones I’m not too keen on. These three are strong songs but I’m just not feeling them, maybe they will grow on me. This album definitely leaps into my Top Albums of 2007. A SAVAGE CRAZY WORLD is a nice DVD package that brings together all of the Scorpions music videos plus a live concert that was only released on VHS called CRAZY WORLD TOUR LIVE…..BERLIN 1991. The Live Material section is the Berlin 1991 concert from the original VHS. At the time, the band was at the height of their popularity and success after the blockbuster album CRAZY WORLD and the worldwide hit single ‘Wind Of Change’. The performance is top notch, classic Scorpions. The video and audio are superb. My only complaint is that this is not the full show from the original VHS. The missing songs from the set are: ‘Tease Me Please Me’, ‘Don’t Believe Her’, ‘Send Me An Angel’, and ‘Wind Of Change’. There is no explanation online as to why these songs were left off this DVD release, I can only speculate that it was due to time constraints in making the DVD. Too bad because all four songs are excellent and an integral part of the 1991 concert as all four were off the album the video is promoting! The Music Video section consists of all the Scorpions videos that were popular on MTV. There are a few uncensored videos and Russian versions but they are basically the same as you remember them. The only video that is different is ‘Rock You Like A Hurricane’: you can watch the Russian version with live footage or you can enjoy the original concept video by pressing the ANGLE button on your DVD remote. The Bonus Video Section is basically the same deal as the Music Video section: four music videos by the band that were popular on channels like MTV. Not sure why there has to be a “bonus”, maybe these could have been put with the other videos and we could have gotten some additional live footage or an interview? There are two Easter Eggs on this DVD: ‘Big City Nights (live)’ & ‘No One Like You (live)’. Both videos promoted the WORLD WIDE LIVE album and VHS and were very popular back in the mid-80s so I’m not really sure why they aren’t included in the regular Music Video section. At the Main Menu, select the ‘Special Features’ option. At the next screen, there will be a jagged yellow line under Dolby Digutal 2.0. Press LEFT twice. A blue scorpion appears on the globe left of the audio options. Press ENTER. A video for “Big City Nights” begins playing. At the Main Menu, select LIVE. At the next screen, select NEXT in the lower right hand corner. At the next screen, there will be a yellow target icon next to Song 7 (Can’t Live Without You). Press LEFT twice. A blue scorpion will appear on the revolving film reel left of the song menu. Hit ENTER. A video for “No One Like You” will begin playing. It is different than the one listed in the Bonus Vidoes section. A nice DVD package of all the band’s videos and a classic live concert from 1991, a really good retrospective on the band’s career from 1982 through 1991. My only complaint is about the four songs missing from the Berlin 1991 show. With this show released on this DVD, a separate release is highly unlikely. This forces the completist in my to seek out a mint VHS copy or DVD copy of the VHS. To my knowledge, the Scorpions only released three videos from EYE II EYE. I could post a couple of live videos of other songs but they wouldn’t be a true representation of the studio album. After such a great run of success from 1982 through 1993, the Scorpions stuggled to find an identity in the fast changing world of Rock music. 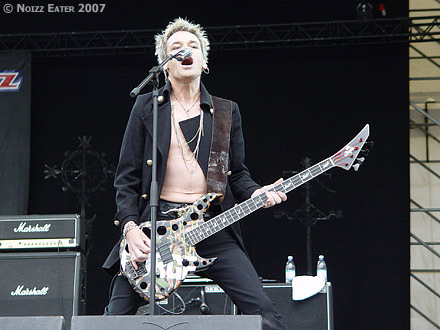 After the poor sales of 1996’s PURE INSTINCT, the band was faced with either disbanding, becoming an act based on nostalgia, or they could try something new. 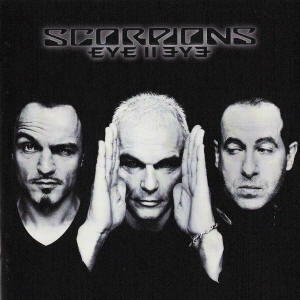 Deciding to continue as a working band, the Scorpions released the highly experimental EYE II EYE (1999). Opening the album, ‘Mysterious’ treads a thin boundary between modern ’90s Rock (U2) and the LOVE AT FIRST STING era. The drums are more an electronic sound than a true drum sound and the bass is very prominent during the verses. This lends the Pop sensibility to the track but the guitars do kick in during the chorus. This recording is nothing compared to the live version. I had the pleasure of seeing the band on this tour and I can vouch that ‘Mysterious’ comes out harder, more like true Scorpions, in the live setting. ‘To Be No. 1’ is the first single and video from the album…..unfortunately. ‘To Be No. 1′ is highly experimental in employing an obvious drum machine, cheap keyboards, and a bit of “funky’ bass. The guitars do kick in at the bridge but disappear during the chorus. Is that a Bon Jovi-esque talk-box I hear as well or is it an electronically distorted guitar solo? Either way, I can’t tell. This is Electronica at it’s worst and certainly not the band’s strong suit. Fans were obviously confused when they heard the hard rockin’ Scorpions doing dance music. Thankfully, ‘Obsession’ is a nice simple ballad. Say what you want about the Scorpions and ballads but they do them well and ‘Obsession’ is a welcome attraction after the previous song. The feature here are the vocals of Klaus Meine, who sounds the same as he did in the early ’80s. There is also some nice acoustic guitar guiding the vocal to the chorus. Ballad #2 is ’10 Light Years Away’. Normally two ballads in a row would kill an album but the Scorpions do have a serious pedigree in the art form. Kottak keeps decent time while Jabs and Schenker layer acoustics with the vocal. Again, nice and simple and Klaus is in fine voice. My only complaint is Klaus’ famed tambourine is way up front in the mix and it gives it a slight Pop feel. Still, the song is a winner. ‘Mind Like A Tree’ is harder than the previous songs but the music leans toward the combination of Grunge/Alternative and late ’90s Rock like Creed. Another attempt to be current and trendy, especially at the breakdown three minutes in where the band uses some keyboards. The guitars are heavy but not the typical Scorpions sound. Like ‘Mysterious’, this song is better in concert than it is on record but it is one of the stronger tracks on EYE II EYE. The title track is ballad #3 and it’s a combination of ‘Obsession’ and ’10 Light Years Away’. The vocal and guitars are similar to ‘Obsession’ while the tempo and percussion give it the mainstream Pop sound like ’10 Light Years Away’. Actually, the drums sound too electronic and processed. ‘What U Give U Get Back’…..ballad #4. This is a solid ballad, the only criticism is the keyboard loop that is very prominent during the verses. The loop is trying to sound like percussion but it’s just bad. Pull that out and keep it all acoustic and you have a winner. Again, Klaus Meine’s vocals are the highlight with the rare electric guitar solo smack in the middle. This sounds like ’80s Scorpions. I want to call ‘Skywriter’ ballad #5 but it borders between ballad and mid-tempo. The song does kick in a little around the chorus but it retains that dance-oriented drum sound. I also don’t like the little drum fills that are put in to fatten the sound, they sound hollow and too perfect. As with the rest of the songs so far, the acoustic guitars are a nice compliment to the overall guitar sound but on ‘Skywriter’ they are over powered by the funky bass and drum machine. It’s a quiet song and I like it, it’s something different, but by this time I want to Rock out. ‘Yellow Butterfly’ follows the ‘Skywriter’ mid-tempo model but it kicks in a little come the chorus. Obviously, the band is focusing on their strong suit (Klaus’ vocals) because this is another “quiet” song during the verses. Three minutes in there is a breakdown with some poor keyboard and guitar effects that lead to a quick guitar solo. Overall, I still like the acoustic guitar as a base and, is that a sitar I hear in the background? I could be mistaken but it sounds like one and, if it is, it adds to the acoustic backing. It’s a decent song but it’s sounds like the others, not much originality. The Scorpions try and be too modern on ‘Freshly Squeezed’, very U2. It tries to be hard during the chorus, dance-pop during the verses, and is keyboard and drum machine laden. At one point you barely hear a basic guitar! I skip this song everytime. Finally the band decides to do what they do best and Rock out. I could hear ‘Priscilla’ coming from CRAZY WORLD (1990) or FACE THE HEAT (1993). There are electric guitars, what sounds like real drums, and barely any keyboards. A welcome change for sure! The lyrics are a bit odd but Scorpions lyrics have always been that way. ‘Priscilla’ is a winner on this record and I think it would have been a better lead single than the experimental ‘To Be No. 1’. This is a favorite of mine on this record. It’s a little hard to believe that the band has never recorded a song in their native German tongue until ‘Du Bist So Schmutzig’. Of course, I have no idea what the words to the song mean because they are in German but I can tell you that the James Kottak rap (in English) at the bridge is just awful and unnecessary. The music is upbeat and reminds me of Def Leppard around the SLANG (1996) era. ‘Aleyah’ is another modern sounding Rock track that retains it’s heaviness and could have come from a previous Scorpions album. Aside from the poor chorus (“Aleyah” sung over and over by the backing vocalists), the song is very good. Klaus is in fine form and there are more electric guitars…..there is even a guitar solo! This would have been a good lead single/video…..it’s a little experimental and modern in the chorus area but the song does retain a classic Scorpions vibe. This is one of my favorites on the album. ‘A Moment In A Million Years’ closes the album and is Ballad #5, or did I count ‘Skywriter’ #5? Either way, it’s another ballad but definitely the best ballad here. Very simple: a superb vocal over a piano accompaniment. There is also orchestration but there is no credit in the liner notes so I am assuming that it’s orchestration via the keyboards. Experimental, modern, electronica, dance-pop, light, mostly ballads and mid-tempo. Basically the Scorpions are searching for an audience AND an identity at the end of the 1990s. This is definitely only for the diehard Scorpions fan or a completist collector that needs to have everything the band does (like me). The album is average at best but I like most of it. It’s not my favorite Scorpions album, and I would certainly rate it as one of the lesser ones overall, but there is enough contained herein to almost salvage it. I admit to being a little biased because I saw the tour (with Deep Purple & Dio) and the songs they played from the album translated better live due to the lack of electronic studio effects. Bass player PEPSI TATE lost his battle with pancreatic cancer today. Pepsi passed away peacefully at 10:30 this morning, Tuesday 18th September 2007, in Holme Towers cancer hospice in Penarth Cardiff. Pepsi’s wife Shan and close family were with him. Words cannot describe how we feel right now. We’re in bits and will miss him so much. Goodnight Boy – we’ll see you again soon fella. You mean the world to us. I was online typing up a review for Scorpions Week and an email notice came through with this sad news. I’ve never been a huge Tigertailz fan but whenever I hear this unfortunate news it reminds me that we are all mere mortals and that we all must live life to the fullest. My hope is that Pepsi did in his short time here. My sympathies to all of Pepsi’s friends and family. The glaring omission to my Scorpions collection is, in fact, ANIMAL MAGNETISM. This album has some great songs including: ‘Make It Real’, ‘Lady Starlight’, and ‘The Zoo’. It’s also the beginning of the band’s journey into the ’80s as ‘The Zoo’ became a Rock radio and arena favorite. This CD was re-released in 1997 and in 2000, both with the original cover art intact. The dog is missing on the early CD issue in the U.S. due to the controversy of a woman being obedient like a dog. Most early Scorpions covers were changed for U.S. release (see LOVEDRIVE, VIRGIN KILLER, etc.). To be honest, I’m not really sure why I don’t have it because it’s everywhere and priced decently. It’s probably this availability that has kept me from buying it because “it will be there next time” (As this column grows, you’ll notice I say that a lot!). Normally, this is located in the bargain bin at a price ranging from $7.99 to $9.99 and I could pick up 4 or 5 copies at any given time. ‘No One Like You’ took off on MTV and launched the Scorpions into Hard Rock stardom. Granted, they were already well-established internationally but this is the song that broke the band in the U.S. big time. The first video is the original concept inside Alcatraz and the second is the version from the WORLD WIDE LIVE (1985) album and home video that MTV played from 1985 on.